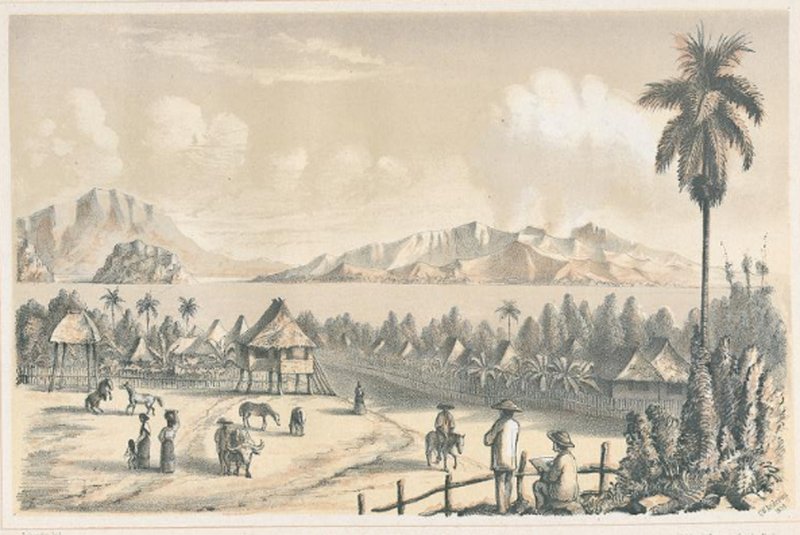 Sketch of Taal Lake and Volcano as seen from Talisay, c. 1859. The image above has been taken from a public domain edition of the magazine called “Ilustración Filipina, 18591,” a Spanish language magazine published in the Philippines from 1859 to 1860. The magazine “was one of the earliest illustrated publications” in the country. The image has been downloaded from the archival web site Digitalisierte Sammlungen. It is an 1859 sketch of Taal Lake, showing the volcano, as seen from the shores of Talisay, at the time still a barrio of Taal. The sketch was captioned “Vista del Volcan de Taal desde Talisay” (View of Taal Volcano (as seen) from Talisay).